The best bachelorette party ideas San Diego are all in one place here with Butlers in the Buff! We’ve put together some of the best San Diego activities for bachelorette parties. Saving time for the busy maid of honor! Packed with thoughtful details and lots of inspiration. Helpful hints for planning the best bachelorette party or bridal shower! Imagine surprising the bride to be and guests with a gorgeous personal party butler greeting them at the door with a glass of champagne! Wearing only a bottom revealing apron, collar, cuffs and bowtie, your Butler in the Buff will ensure that your guests don’t lift a finger. 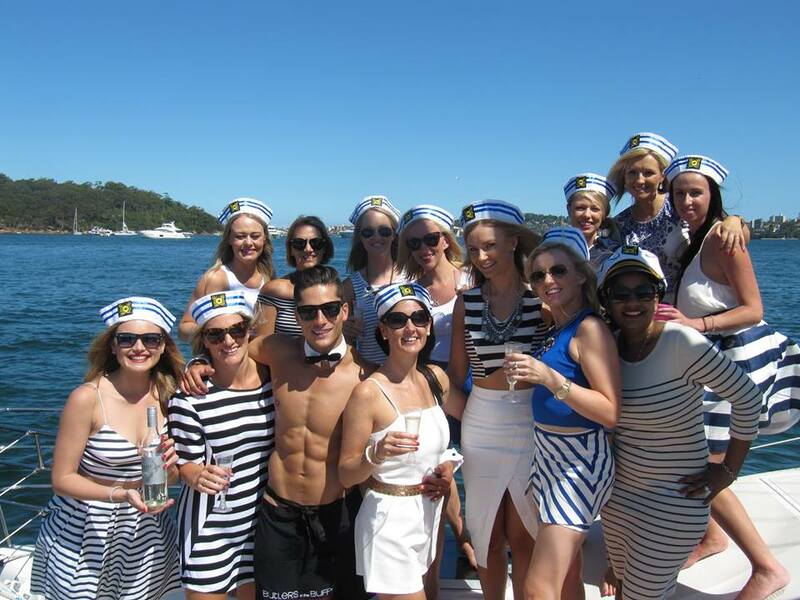 See how you can use our butlers for additional spiced up bachelorette party ideas San Diego. From an evening cocktail party to a casual mid-morning brunch your Butler will be a handsome and helpful accessory to any style of party. He can even assist with your bachelorette party games which you can download for free! By far the most requested hotel that our butlers are called to is the Hard Rock Hotel. It’s chic, urban and tons of fun- the perfect bachelorette venue for a last fling before the ring! A close second is the Lowes Coronado Bay resort a luxury retreat that is the perfect city escape! The Sea Spa has a fabulous beachy-zen atmosphere for the ultimate bachelorette pamper session. For a unique bachelorette party idea travel north of San Diego to the quiet La Jolla beaches. A butler on the beach is a great way to spice up any picnic and give the bride to be a truly pampered experience. Please contact us for further details on booking your Butler on the Beach. Vintage themed bachelorettes are always fun and nautical vintage is a super cute way to stand out as a group in the warm California sun. Explore Belmont park at Mission beach for a classic amusement-on-the-pier experience. Or take in views of the city and charter a yacht from Hornblower Cruises and Events. Throw in a sassy vintage nautical theme and take to the sea! If you’re looking for further fun and creative bachelorette party ideas San Diego visit our blog to get started!